New Tourism Engagement Council | Backcountry Lodges of B.C. New Tourism Engagement Council | Backcountry Lodges of B.C. The Backcountry Lodges of BC Association (BLBCA) has one of the most extensive backcountry accommodation networks in North America. Its membership includes thirty-one (31) backcountry lodges located in some of the most pristine wilderness locations in BC with headquarters in Kamloops. BLBCA lodge owners pride themselves in offering incredible multi-season opportunities to explore some of the world’s most breathtaking scenery, from the comfort and safety of a cozy mountain lodge. BLBCA just hosted its fifteenth Annual General Meeting at Thompson Rivers University. Our team of backcountry operators boasts many years of combined experience hosting tourists in BC’s natural environment. A number of lodges are in fact celebrating over 30 years in operation this season. “The popularity of people wanting to #unpluginbc and indulge in remote mountain locations has resulted in increased visitation and the association members have responded by offering quality backcountry experiences,” says Brad Harrison, BLBCA Executive Director. As a result of this combined experience and growth in the adventure tourism sector, the Adventure Tourism Coalition of which the BLBCA is a member, was one of five prestigious tourism organizations invited to the Legislature in celebration and support of Tourism Week in BC. 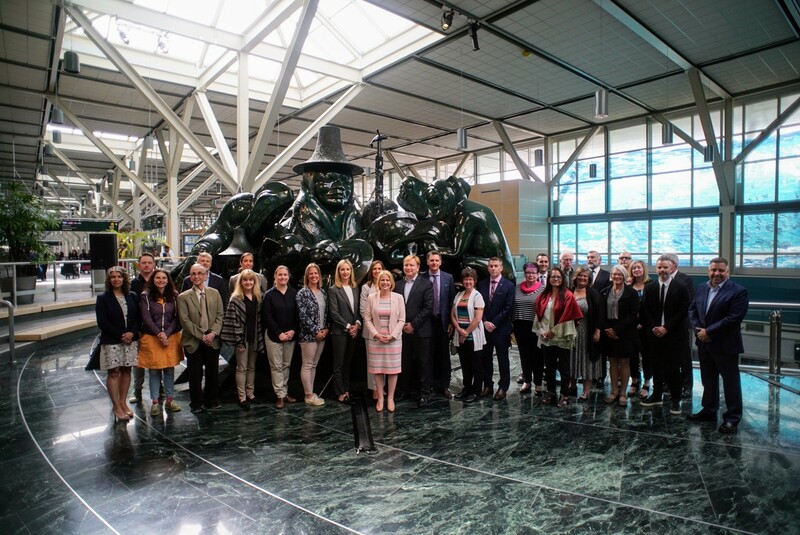 A notable announcement during Tourism Week was the formation of The Honourable Lisa Beare’s new Tourism Engagement Council formed to “help guide government’s tourism policy, strategy and program implementation”. BLBCA’s Executive Director Brad Harrison was honoured to be named to the Council.